Do You Really Need A Wheel Alignment? Are you aware of the importance of a wheel alignment as part of your tyre’s maintenance? 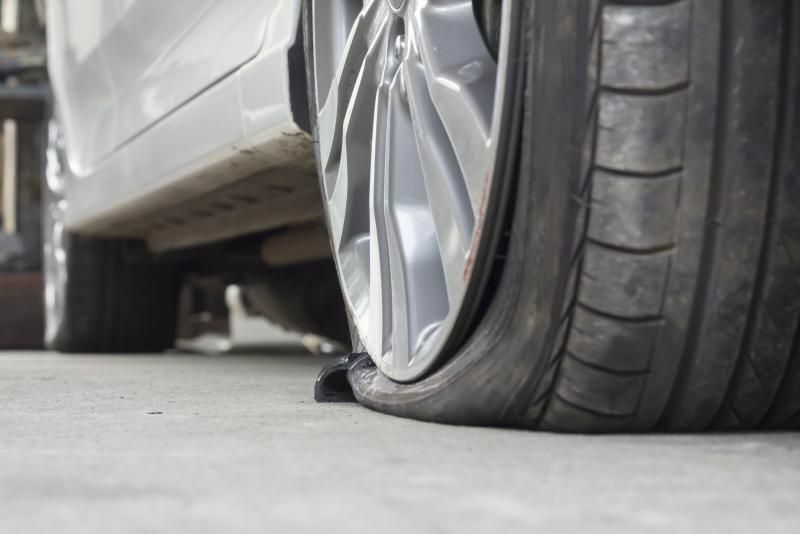 Due to popular belief, many road users only show concern towards their tyres when wear and tear is noticeable or a puncture is detected. A typical driver's concept of tyre maintenance is far from what is necessary to avoid the unwanted costs of misaligned wheels. Is It Worth Getting A Wheel Alignment? A wheel alignment can potentially save you so much more than the cost of the procedure. For additional money saving tips, see our fuel economy guide. When your vehicle’s wheels are misaligned, the driving pressure pushed onto the tyres are not equally balanced. This causes the vehicle to experience uneven friction and resistance from the ground. This will result in your vehicle forcing itself to work much harder to operate properly, leading to excessive fuel consumption. According to our friends at Investopedia, misaligned tyres do not roll freely, instead, they drag across the road. 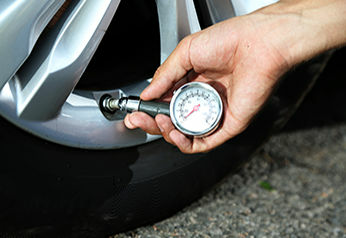 Healthy fuel efficiency relies on properly aligned tyres. If a misalignment is present, fuel efficiency is reduced by up to 10%. 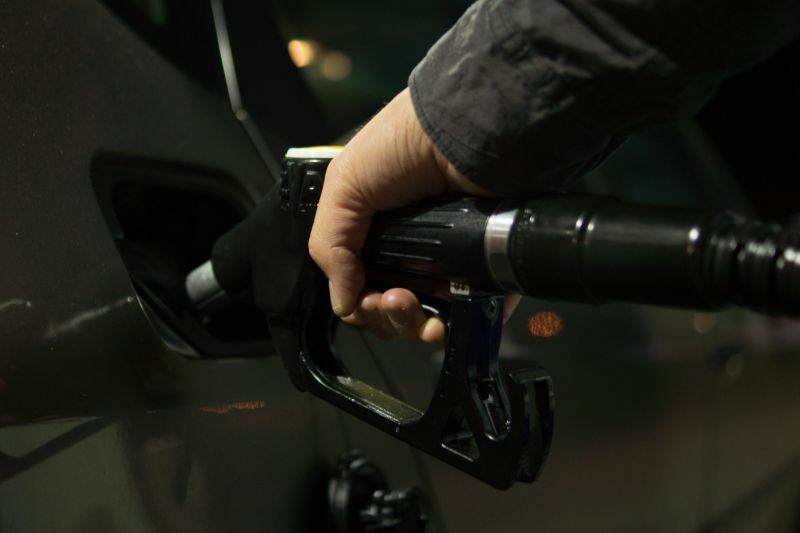 At the moment, the average Australian fuel price is $1.47 per litre. This means you could be looking at wasting around 15 cents per litre just from misaligned wheels. Unnecessary wear and tear on your tyres. This will lead to an additional unwanted cost of replacing your tyres too early. Uneven wear can reduce the life of your tyres up to 15%. The quality of your vehicle’s suspension is heavily influenced by the wheel alignment. This poses a severe risk of damaging the suspension components, resulting in expensive repairs that can be avoided. An analysis conducted by AutoGuru found that a shock absorber replacement ranges from $150 to prices beyond $600. Vehicles with electronically controlled shock absorbers are looking at spending well over $1000. The NSW Centre for Road Safety states wheel alignment is a vital element of your vehicle’s safety. Misaligned wheels can significantly increase the risk of a vehicle accident as braking distances and handling are compromised. 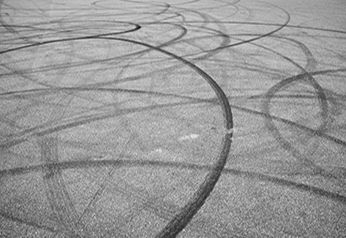 Driving a vehicle with misaligned wheels is an unnecessary risk, so what is the cost of your life? Not only can you save money from getting a wheel alignment, but there are a range of factors to determine if your vehicle needs one. Just because your wheel fitter recommends an alignment, it does not necessarily mean that your vehicle requires one. A wheel alignment is necessary for both front and rear wheel drive vehicles. The first and most popular indication your vehicle requires the service is if the steering significantly pulls to either side. Remember, roads are not designed to be perfectly flat. If your vehicle is slowly drifting to the side this is not a sign of bad alignment. This is because all roads have creases, causing the vehicle to slowly drift off to the side. However, if your steering tugs hard to either side, this is a potential symptom of a misalignment. Uneven tyre wear. If you’re not sure, check it out yourself. Noises described as squeaking, creaking, knocking, or rubbing. New tyres are being installed. This is a convenient time to have your wheel alignment checked as it can be completed all at the same time. Suspension components have been installed. You do not want to have to fork out money to replace these components more often than usual. This could be avoided with aligned wheels. You have encountered a road hazard. A typical hazard that may impair alignment is striking an obstacle wit your tyre. These obstacles include potholes, kerbs and speed bumps. The tyre is aging. 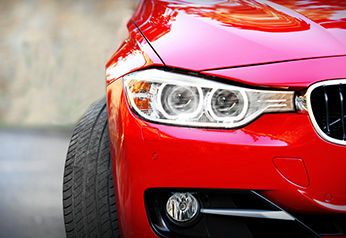 Alignment may be a necessary measure due to general wear and tear that is encountered each time your vehicle is driven. Aging tyres lose their elasticity and crack over time, resulting in a misalignment that will gradually deteriorate. In general, every 20,000 kilometres or 12 months, whichever comes first. What Is The Cost Of A Wheel Alignment? Here at Tyroola, we negotiate prices with our fitting partners so that you always receive the best price available. The price is transparently displayed with each fitting partner that is able to perform a wheel alignment while your tyres are being installed. Do You Understand What You’re Paying For? Many of us do not know that there is no difference in the fee paid to conduct an inspection to see if a wheel alignment in needed, and the actual procedure of the alignment adjustments. A majority of the labour involved with a wheel alignment is the placement of the vehicle. The car is driven on specialised lifting machinery and the alignment equipment is then connected to each wheel. After this process, the actual adjustments is no difficult work at all. All the additional requirements to perform the wheel alignment is simply unlocking and rotating the metal sleeves attached to the steering linkage. Before you agree to a wheel alignment inspection, make sure to always check what you are paying for first. Check your wheel alignment cost now online at Tyroola. A wheel alignment is a process involving a series of measurements and adjustments to the complex steering and suspension alignment angles. These angles ensure the wheels are parallel to one another and perpendicular to the ground. Suspension tuning greatly influences the vehicles handling, performance, and the wear of your tyres. Toe Adjustment: this measure involves the angles that the wheels are tilted towards, either outwards or inwards. Keep in mind that wheels are never adjusted perfectly parallel to one another. Each vehicle model requires a unique amount of toe-in or toe-out tolerance. Camber Adjustment: this measurement involves the vertical angles that represent how far the wheels lean towards or away from the vehicle. If the wheels are leaning too far towards the vehicle, the inner edges will be the most exposed part of the tyre. This will force the tyre to deteriorate at a rapid rate. Wheels leaning too far away from the vehicle have the opposite issue. The outer edges of the tyre will be more susceptible to excessive tyre wear. Caster Adjustment: this measurement involves the position of forward and backward tilt within the steering axis. The caster is also known as the crouch angle. This defective balance can cause the front and back end of the vehicle to become misaligned, resulting in uneven tyre wear. However, poses a serious risk with speeds above 60 kilometers the vehicle will become unstable. Do you want to know more about the wheel alignment process? Watch this short video by Hunter Engineering, leaders in wheel alignment technology, for additional information. Many of us have made the mistake of presuming a wheel alignment is the same process as a wheel balance. Wheel balancing relates to the way that weight is distributed between the wheel and tyre assembly to ensure that it travels (spins) evenly at high speeds. 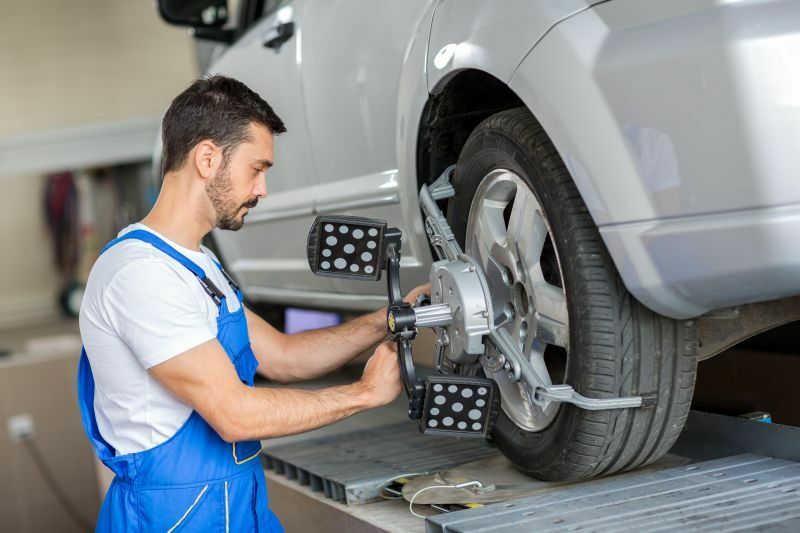 Whereas a wheel alignment is a process changing angles to ensure that each of your wheels are perpendicular to the ground and parallel to one another.